Is it time to stop using Facebook? On Thursday, Facebook announced a significant change in the way it presents material to users. In a press release from the company and a status update from CEO, Mark Zuckerberg, Facebook let it be known that 2018 was going to be a year of significant change for the social network. The past year has not been a good one for Facebook. It has come under pressure from Governments around the world for inaction on abusive and inappropriate content. At the same time, it has faced a barrage of criticism for peddling “fake news”. The company hurriedly introduced a “fake news filter” towards the end of last year, only to find it didn’t work and resulted in the promotion of false information instead of factual content. That’s a problem for the company as it charges media companies for content distribution. They were increasingly likely to pull out of deals if the network wasn’t robust. If you are a major media brand, you can’t have your content muddled up with nonsense from conspiracy theorists or worse. On top of pressure from advertisers, the company’s shareholders are not happy. At the Annual Meeting back in June 2017, they pressed for changes at Facebook to make it more responsible. Shareholders accused the company of being too reactive and not taking enough proactive steps. That’s been made worse this week, with major shareholders voicing their concern that if people don’t trust what they read on Facebook anymore, they will stop using it. As if this weren’t enough for the embattled company, analysts are saying Facebook shares are overvalued and are due a significant correction. At the same time, users on Facebook have changed their behaviour. They are posting much less personal material and holding far fewer social conversations than was the norm a couple of years ago. The reason for that is the growth in sponsored posts and advertising. In order to satisfy the grumbling investors, Facebook needs to generate more revenue. But as they do that, they make the user’s news feed look less social, and hence it gets lower amounts of usage. Couple that with people ignoring things because they are wary of the amount of “fake news” and Facebook is in trouble. So, it has responded this week by saying it will alter the news feed so that it has the social, personal element restored. An alternative view of the news feed will provide more sponsored posts. The aim of this change is to make users more social and restore the “old feel” of Facebook. This may be good for us as users of the social network. But it probably isn’t good for Facebook or many of its advertisers. For instance, at the moment if you have a business Facebook page you can only ever reach 9% of the people who follow you. That’s a deliberate policy from Facebook to force you into paying for advertising if you want to have a more significant impact. However, with the new system about to come into force, even if you advertise you are unlikely to be seen anyway because unless you are going to spend vast amounts on sponsorship, your adverts will be relegated to much lower down the news feed. 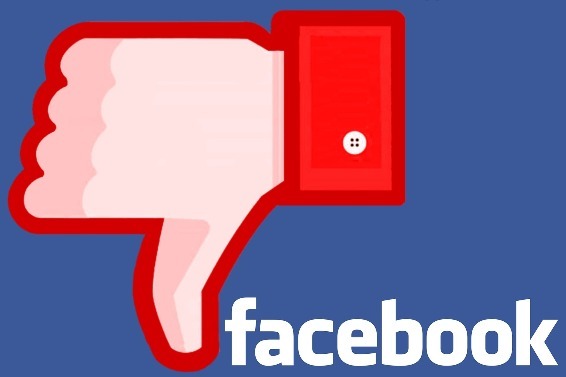 Many of the bloggers who write about Facebook have been saying in the last couple of days that the changes mean that Facebook marketing is pretty much dead now for small businesses and is going only to be suitable for major brands. That has always been the case; several studies in the past couple of years have shown that Facebook really only works for big business. Now, the changes that are coming mean that this distinction becomes starker than ever. Of course, it doesn’t mean that small businesses cannot benefit from Facebook marketing. It just implies they have to spend more money. That’s the gamble that Facebook is playing. They are hoping that their changes and reaction to investor concerns about “fake news” and so on will result in major brands sticking with them. The gamble also assumes that smaller businesses, less concerned about the reputational collateral damage of “fake news” will start spending more to become noticeable. Facebook is playing a high-stakes game. With analysts already saying “sell”, Facebook could be in more trouble than we think. What will I do? Well, I will continue to market my business in a variety of ways, especially in the real world. It’s time for Facebook to become only a minor part of the “marketing mix” in my view.